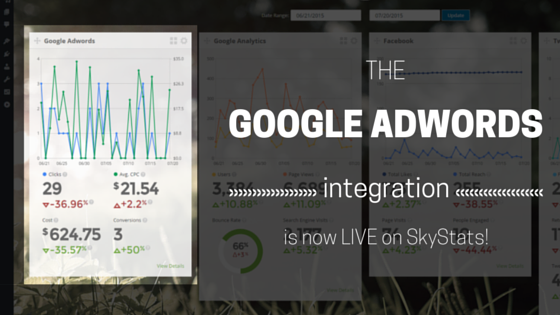 Google Adwords WordPress Dashboard Integration now live! What’s in the Google Adwords integration package? SkyStats’ Google Adwords tile with overview of campaign stats. General overview of your Google Adwords account data. Detail Page for an in-depth look at Adwords performance. 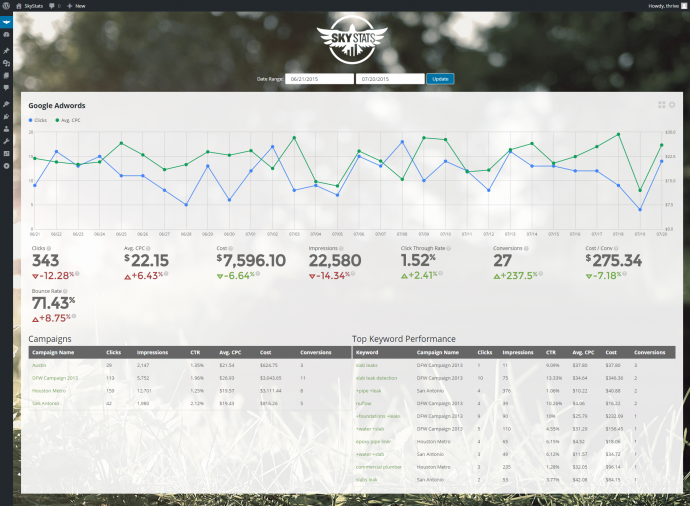 SkyStats’ premium users also get to view data for individual campaigns. If you’re a free user but want to be able to check out your individual campaigns, just upgrade your account. It’s only $25 annually, and you not only get the extra Adwords features, you also get white labeling and the maximum amount of marketing data stored. There’s a lot more to the Google Adwords integration on SkyStats, but of course you’ll have to start using it to find out about all of its benefits to your online marketing campaigns. So what’s next for SkyStats? Well, first of all, we want to make sure you guys are pleased, so head to our feedback page if you’ve got any suggestions or questions about the Adwords integration. Wondering what the next integration will be? Check out our voting page where you’ll see some of the options (and some strong hints) and vote for your preferences. We’re excited to hear from you! And as always, thanks for using the SkyStats WordPress plugin!